I came across a small furniture shop called Recreate in Woodstock the other day, created and owned by Katie Thompson. She started her business just over 2 years ago and it has grown from strength to strength. There are hundreds, maybe even thousands, of shops in Cape Town all selling furniture, but what makes Katie’s business stand out is that all the items in her shop were previously something different, something completely different! “Coalition of the Willing is an animated film about an online war against global warming in a post-Copenhagen world”. This forward-thinking film takes a look at what the citizens of planet earth can do after last year’s failed Copenhagen’s climate change conference, using the power of the collective and Internet technology. Online activism: sign our petition calling for 4 million Solar Water Heaters. Cosmos Productions in partnership with the Cape Town Edge, a collective of 11 Cape Town based companies, took their show Paraphernalia to Grahamstown to perform at the National Arts Festival. After a long and grueling rehearsal process, Paraphernalia was a resounding success selling over twice the amount of tickets than the previous year. The theme of the show was inspired by the Story of Stuff, an online video by Annie Leonard about where our stuff comes from and where it goes. 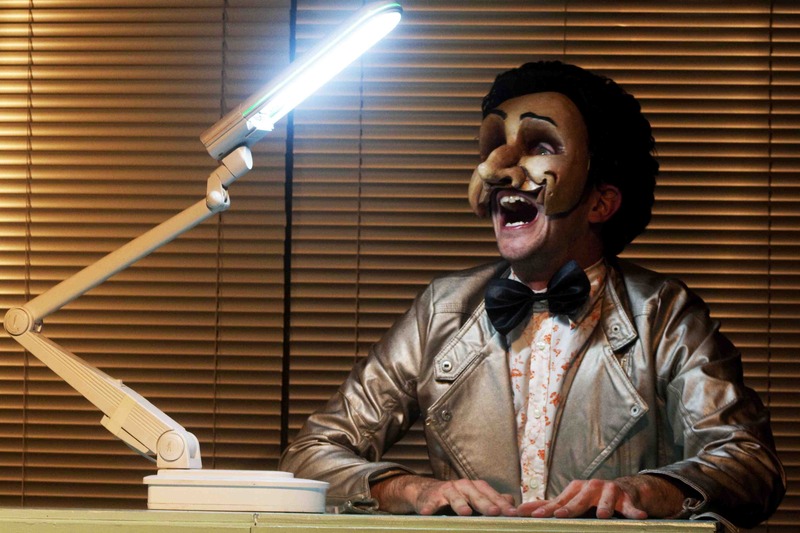 The story follows Stanley, a timid and self concious character who seeks more from life than just a stamping job and a friendship with a desk light. After an appointment with his therapist, and a blossoming relationship with his work colleague Felicity, he goes shopping and gets hooked by the world of consumerism and begins to loose connection to the important things in life. An insightful and emotive look at the world of consumerism in the modern world told through the story of Stanley and his lamp. 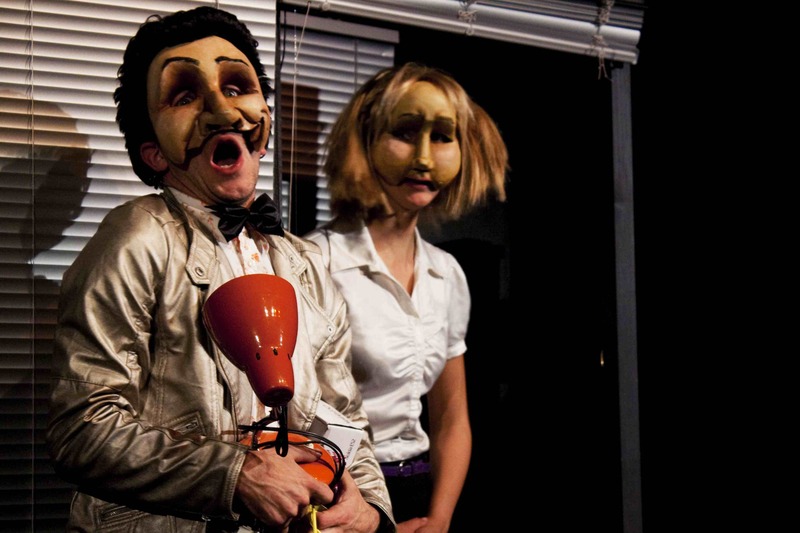 Half absurdist, half commedia del’arte this multimedia piece is endearing and innovative. It uses daily objects as moving, living characters along with gorgeously choreographed stage movement is captivating and thus this show becomes a shining example of true fringe theatre. As well as a fantastic review, the team were interviewed by Cue Online to create a podcast about the show and it’s characters. On Friday’s 2nd July we even had a feature story written about the show. Check out the link below. The Paraphernalia team will be performing the show again in Cape Town. Visit their website for more details or follow them on their Blog. Going to see a game…? Here are some green tips to remember. 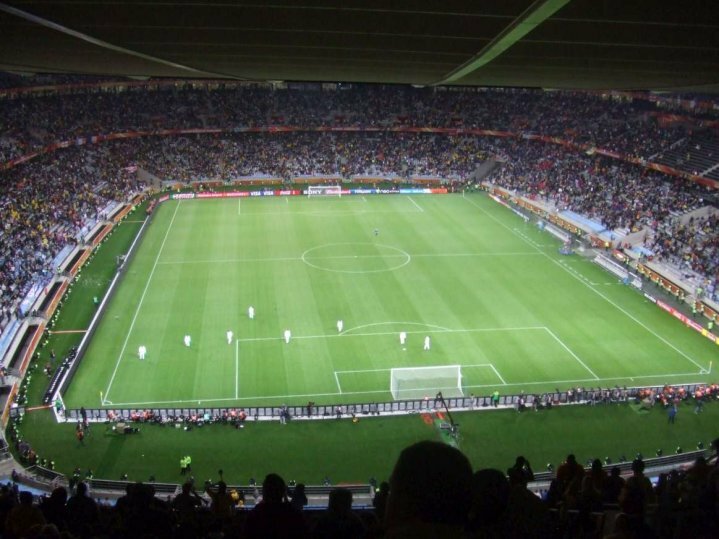 FIFA has a green goal campaign as part of their initiatives relating to the 2010 world cup. 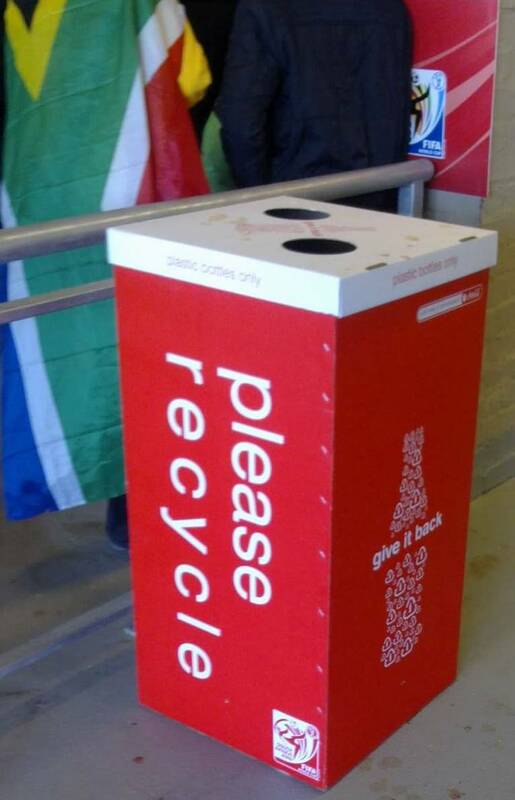 This includes a comprehensive waste management element – so if you are going to a game, please remember to sort your waste – all plastics are being recycled in the specially marked recycle bins and wet waste is being separated from other waste to ensure efficient and effective waste management. Of course how you get to the game can dramatically affect the carbon emissions of your trip – and public transport really is an effective solution (and this is not just clever marketing, we took the public transport options and they worked brilliantly!). Metro rail is a great option for city stadia (and means you miss the traffic) with Rea Vaya being an effective solution too (with dedicated bus lanes in most cases, you also miss the traffic this way!). Of course park and ride facilities are convenient and effective, and if you are going to drive directly to a stadium for one of the park and walk options, take some friends with you. This will all cut down on your carbon emissions, and is a whole lot more fun! 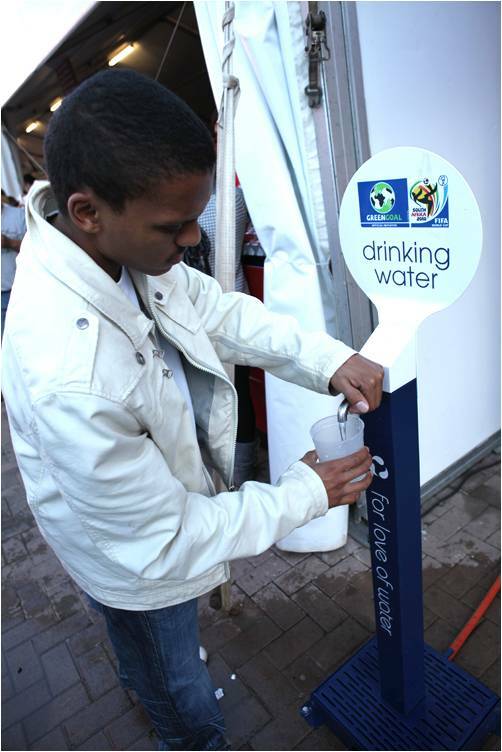 In Cape Town drinking water fountains have been placed along the fan mile so you won’t need to buy bottled water, with its very high carbon footprint.